My name is Emily and I am English. Leila is a black and white female cat from Thailand. 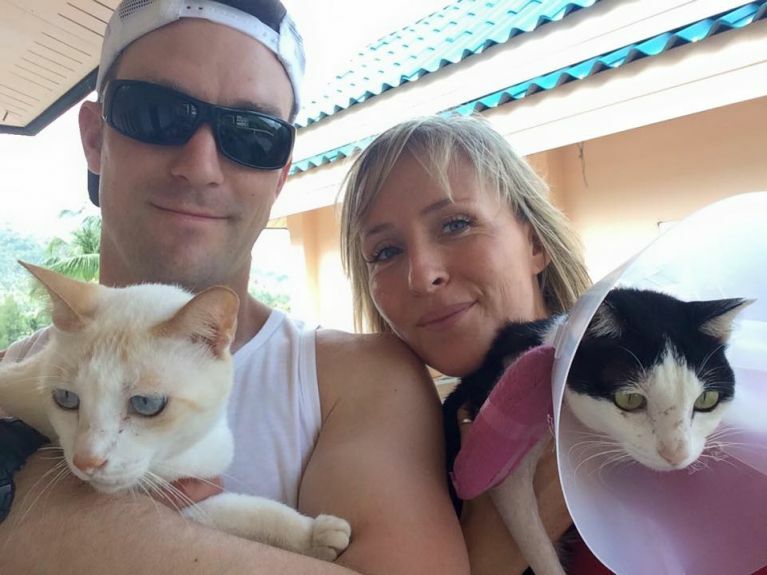 We live in Canada with my husband Craig, who is Canadian and our other cat Milo, who also came from Thailand. Our first blog post explains how we all came to be here. In March 2015, Leila had a fall from a 4th floor balcony which left her front right leg shattered. We fought for five months to save her leg and so far she has kept it, although the healing is not pretty and the bone is neither straight nor strong as yet. We have the added complication of arthritis to her elbow joint, which doesn’t appear to be causing pain yet, but if it does then amputation will be back on the cards. Leila has partial use of her leg (hence the term semi-tripawd). I do physio with her to help her to get more use from it, but she will never regain full use.